Angel Mario Garza during his arraignment Thursday, Aug. 27, 2015 at the Hidalgo County Jail where he was charged with murder. 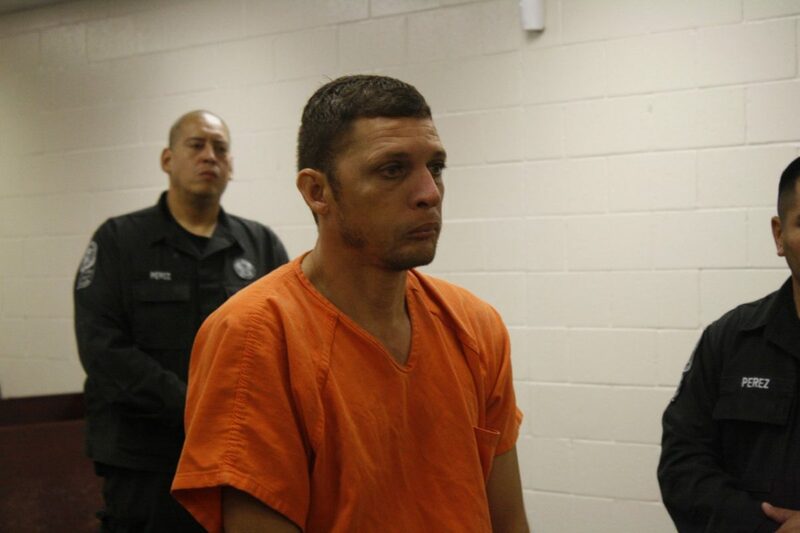 EDINBURG — A man accused of helping the daughter of a prominent South Texas family murder an elderly man to gain access to his money and estate has accepted a plea deal. Under the agreement, Angel Mario Garza, 40, will be sentenced to 50 years in prison for pleading guilty to the January 2015 murder of Martin Knell Sr. He is expected to enter his guilty plea during a Tuesday morning sentencing hearing. Garza, who faces a capital murder charge, would have risked being sentenced to life in prison without the possibility of parole had he decided to go to trial. A jury found his co-defendant, Monica Melissa Patterson, 50, guilty of capital murder this past November. Because the state elected not to seek the death penalty, Patterson — the daughter of a former Hidalgo County commissioner and San Jan mayor — was automatically sentenced to life without parole. Her attorneys are in the process of appealing the conviction, having filed a notice of appeal with the 13th Court of Appeals after a Hidalgo County district court judge denied her motion for a new trial. Garza will be eligible for parole, likely after serving at least half his sentence. If granted parole, he will be deported to Mexico given his status as an undocumented immigrant. Garza allegedly confessed to investigators that he suffocated Knell with a plastic bag while Patterson stood by and that she had promised him part of Knell’s estate if he assisted with the murder.